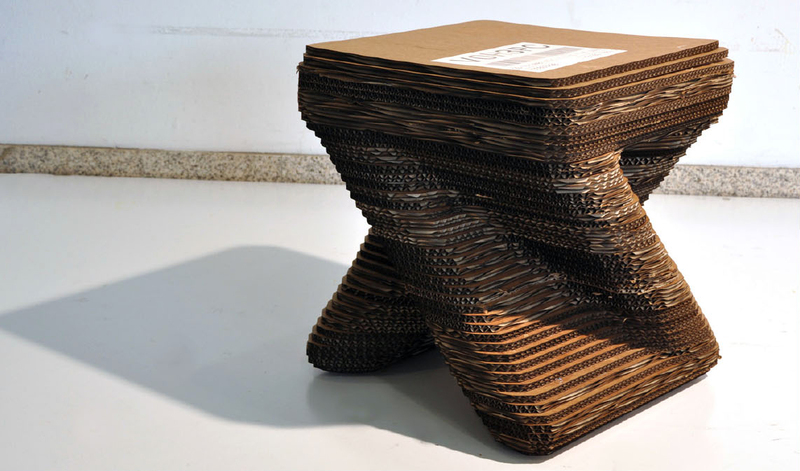 Have you heard of cardboard furniture? If you haven’t, prepare to be amazed! 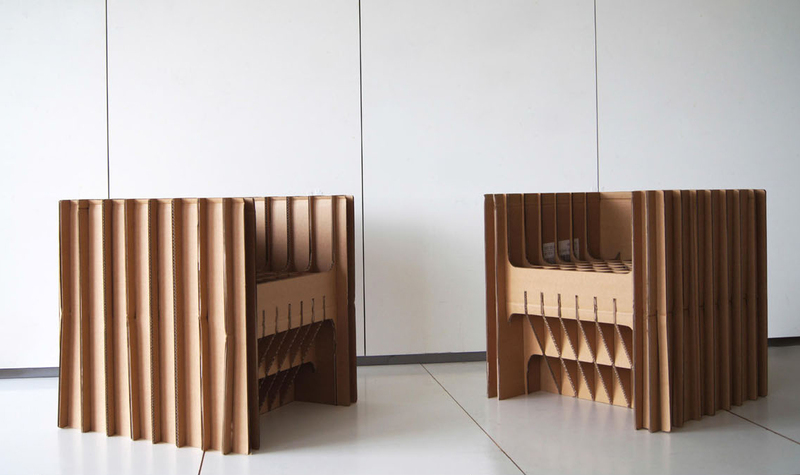 It is one of the smartest ideas of cardboard recycling, successfully implemented in real life by the creative team at the German company Nordwerk recyclingDESIGN. 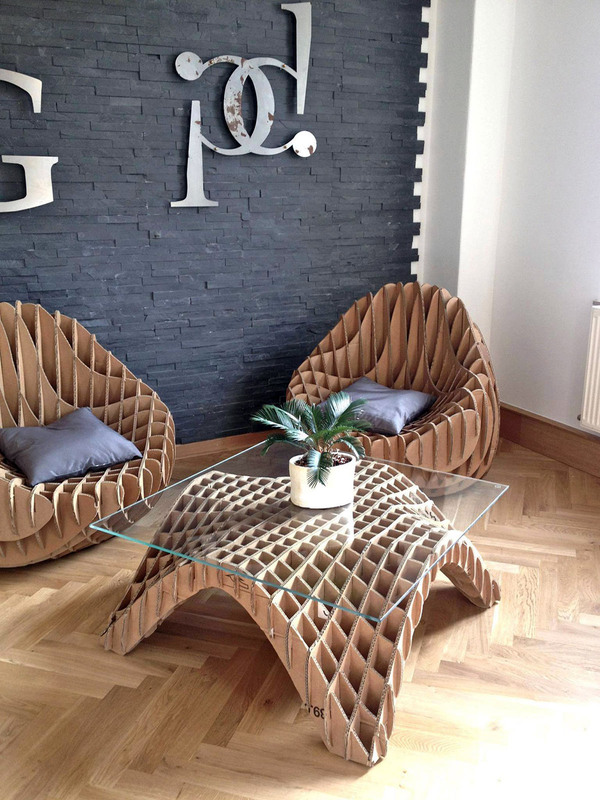 They have gained prestige and popularity worldwide for offering on the market unique furniture made of recycled cardboard. And rightfully so! Every piece they produce is simply a ‘Wow!’-product for its originality in design, but mostly because every item is made of a material you’d never thought might be used for such purposes. They have found a unique way to make something amazing out of what once was simply ‘garbage’ provided for recycling. Moreover, every item is produced using environmentally non-hazardous materials. And finally, to complete and close the eco-cycle, they make sure that every item is completely recyclable, too! 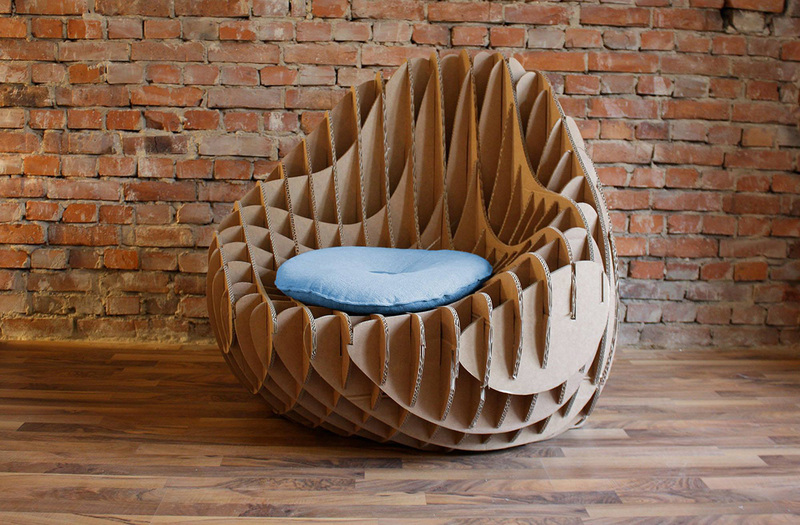 Have a look at one of their finest examples – a stunning lounge chair entirely made of discarded cardboard. 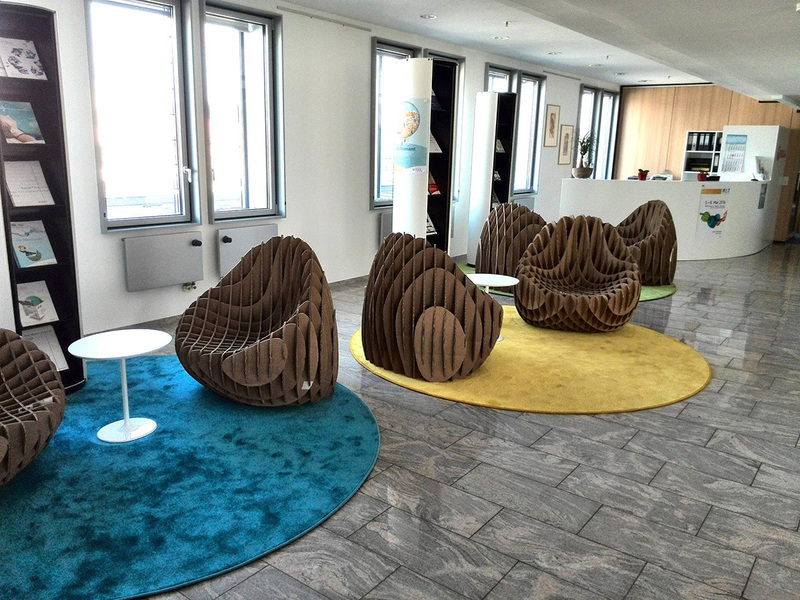 The item stuns with its original design and shape that would perfectly fit in any contemporary or minimalist interior. It does not compromise on comfort or stability, and can gracefully complement an entire set including other amazing items such as a coffee table, a club chair, and a comfy bench, all equally stunning for their originality, uniqueness and practical application.